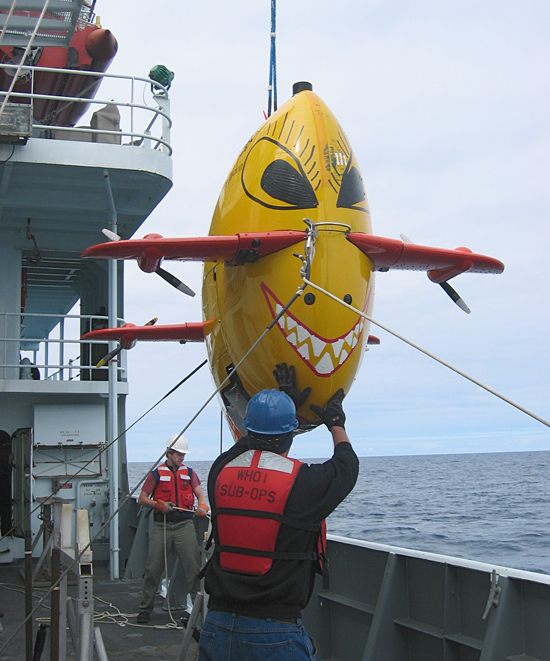 Autonomous underwater vehicle (AUV) Sentry prepares to dive during a September 2009 cruise to study natural oil and methane seeps at a site about a mile off the coast of Santa Barbara, Ca. 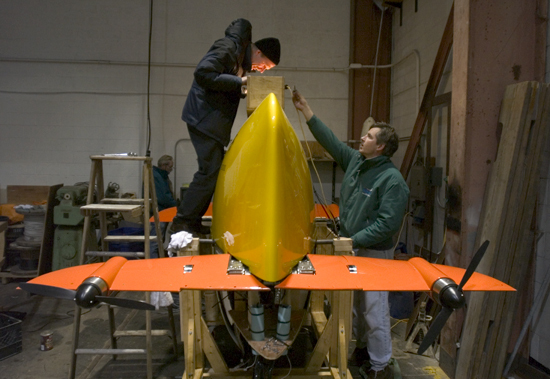 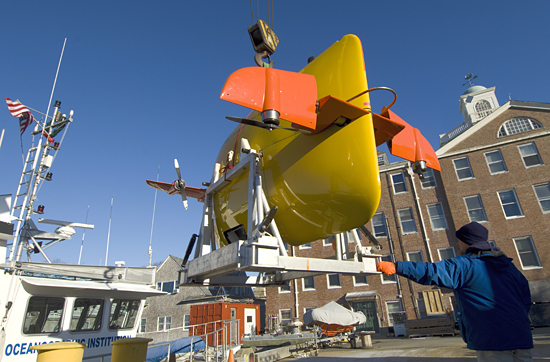 Engineer Rod Catanach steadies the Sentry autonomous underwater vehicle as it is lowered for tests off the WHOI dock in November 2007. 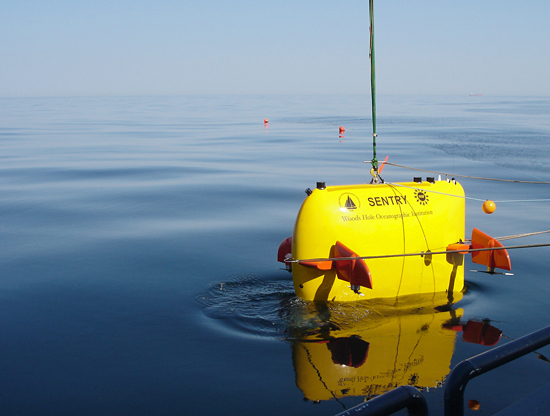 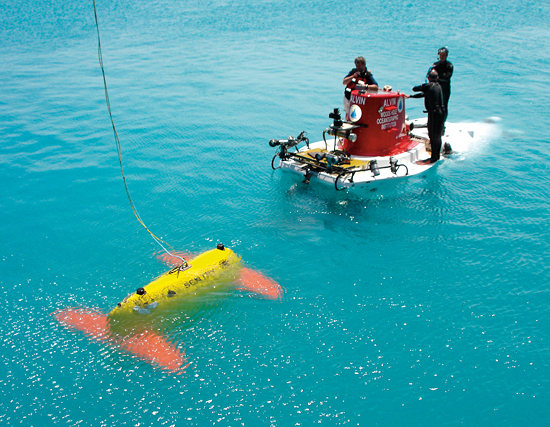 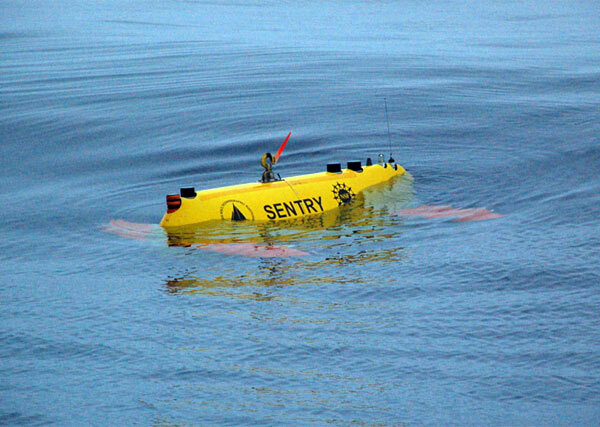 Sentry is a robot built for exploring the deep ocean; it will often be used to complement Alvin by surveying large swaths of ocean floor to determine the best spots for close-up exploration. 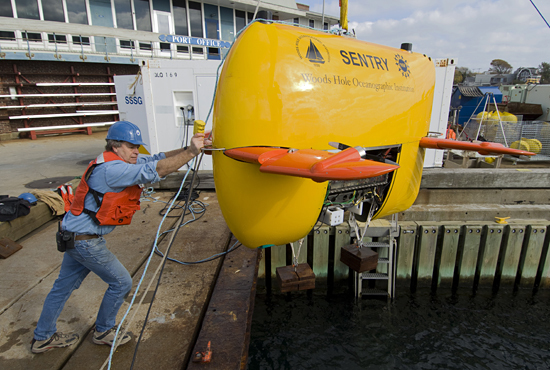 The autonomous underwater vehicle Sentry is lowered into the North Atlantic for deep-ocean testing during a cruise on the R/V Oceanus in April 2008. 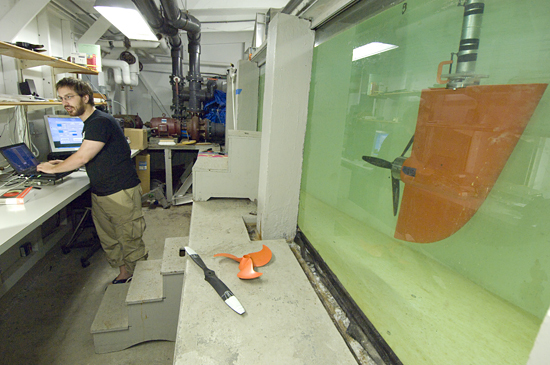 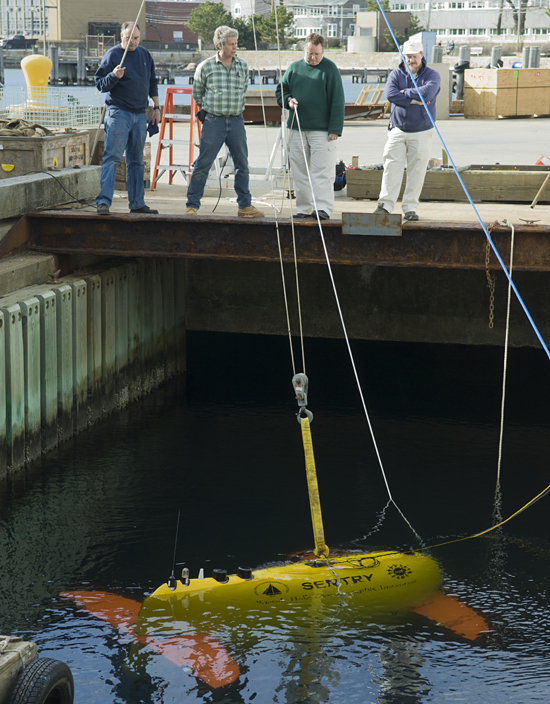 MIT/WHOI Joint Program Student Jordan Stanway tests propellers for the autonomous underwater vehicle (AUV) Sentry. 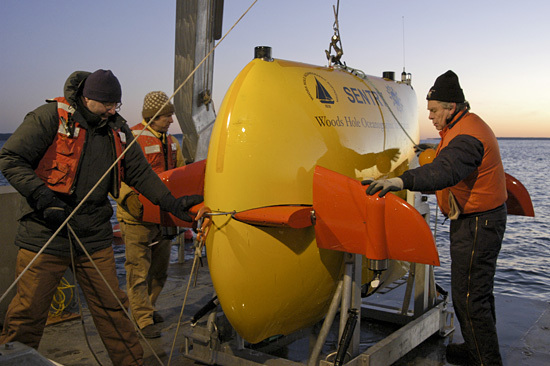 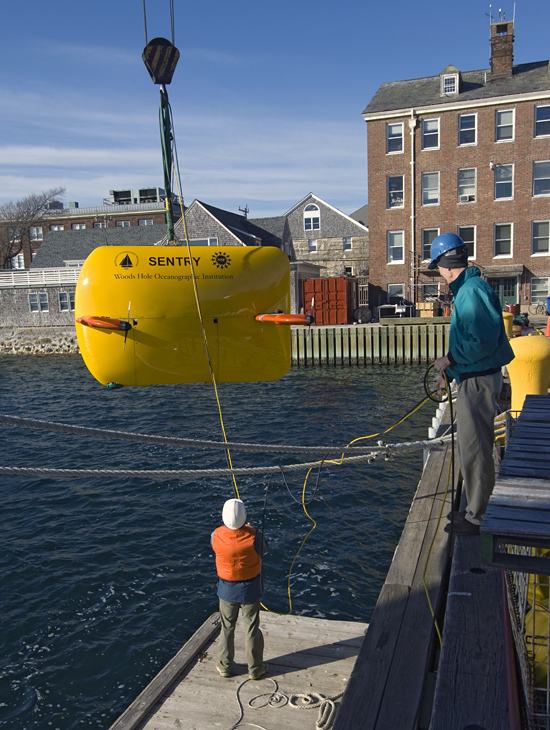 The new AUV Sentry is lowered into the water for shallow tests off the WHOI dock in late 2005. 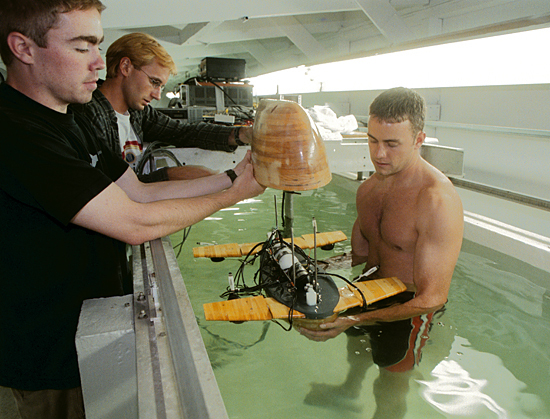 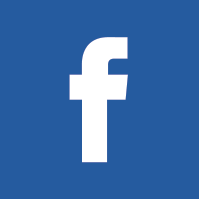 The vehicle was successfully tested in deep water in April 2006.